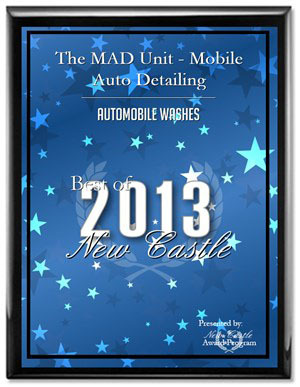 For the third year in a row, The MAD Unit has been selected as a winner of the Best of New Castle Awards in the Automobile Washes category by the New Castle Business Recognition. 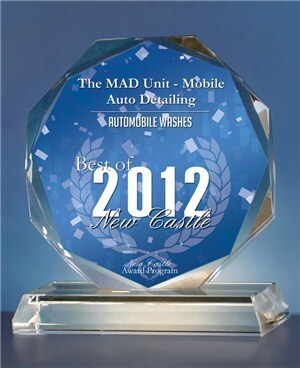 The MAD Unit – Mobile Auto Detailing has been selected as a winner of the 2012 Best of New Castle Awards in the Automobile Washes category by the New Castle Award Program committee. 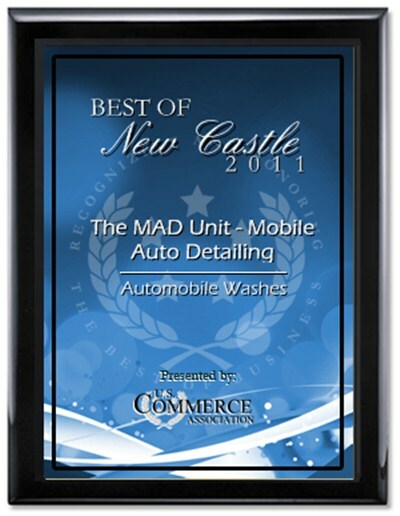 The MAD Unit was honored and recognized with the Best of the Best 2011 Award for Automobile Washes in New Castle, PA. The Mad Unit LLC is owned and operated by Mike Saad of New Castle, PA. MAD is acronym for Mobile Auto Detailing. The MAD Unit provides complete on-site interior and exterior wash and detail service for automobiles around Western PA.